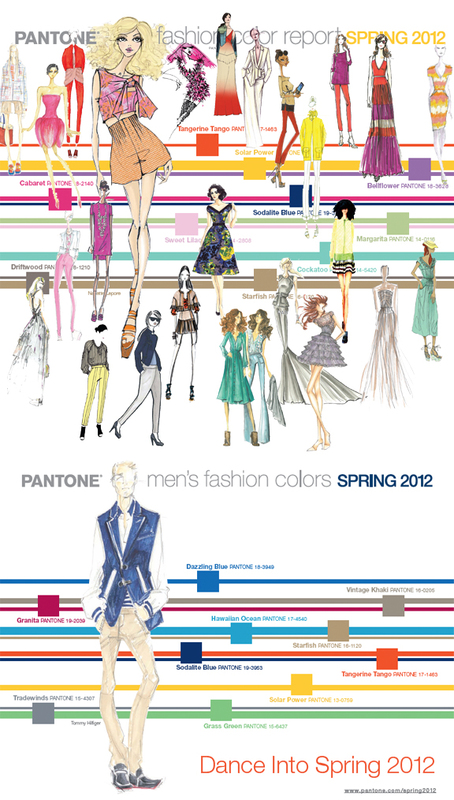 Pantone's anticipated colors and fashions for this spring and summer. All images taken from material at http://www.Pantone.com. Click to enbiggen. The Winter Solstice is here, which means the days are at their shortest, the trees have lost their leaves, and for some reason my daffodils, tulips, and anemones are coming out to play. At the start of last spring, I made it a goal to think ahead a season when planning my sewing projects. I wanted to use the seasonal colors chosen by Pantone as a guide since I figured they spend a lot more time thinking about color than I do. Instead, I mostly got lost in the world of online Sew-Alongs. I justified each deviation by telling myself that Sew-Alongs are like short sewing classes. You have a knowledgable instructor and make one garment from start to finish without cutting any corners. I think they’re perfect for someone learning to sew and wanting to acquire good habits from the start. It’s hard to know what 2012 will hold for my sewing right now, but here I am again with next season’s colors as chosen by Pantone. Their theme: Dance into Spring. I plan to consider the neutrals Driftwood and Starfish as well as the blues Soladite Blue and Cockatoo early on in 2012 since they fit into my SWAP. And, while the pink Honeysuckle was the color of the year last year, 2012 shifts to the reddish orange Tangerine Tango. I have a bridesmaid’s dress in that color, and it photographs beautifully. Maybe some reddish orange cigarette pants are in my future? As for the year as a whole, my goals include creating more go-to pieces with the SWAP 2012 and learning how to properly fit a garment and draft a simple pattern using Patternmaking for Fashion Design as my guide. The colors and fabrics that make it into my sewing will be the reddish orange cherry on top. What do you think? Are you ready to dance into spring with these colors? 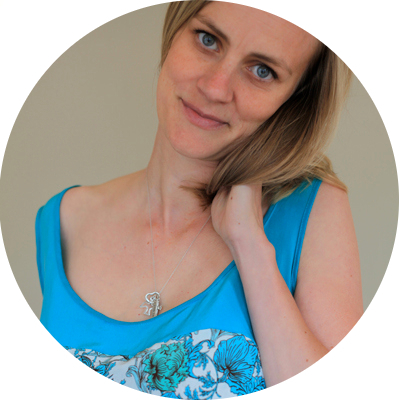 Hi Amy, I can’t think what’s in store for the New year – still in 2011 mode, but your colour choices sound great. I recently downloaded the App for Pantone’s on my iPhone and it’s wonderful to view all those colours, oh, isn’t Patternmaking for Fashion Design fantastic, it’s my favourite sewing book. Have a very Merry Christmas and a fantastic New Year!! Ooh, reddish-orange cigarette pants?! Sassy! Hahahaha! They seem to be such a hit that I’m going to have to go through with making them now! You are right about wanting to support small businesses! Sewaholic is fantastic. I’ve had very, very good luck with her patterns. (I’m about to give into the Minoru…) About Colette, I love the company *in theory*: I love their design, the branding, and their overall philosophy — but unfortunately I don’t think I will buy any more of their patterns because i’ve had such catastrophic results. I’m sorry to hear that you won’t be moving forward with the Rooibos, but I understand your reasons. I can’t wait to see what is next for you though! And yes, and I also wanted to integrate more Pantone colour into my designs. I like when you say “they spend a lot more time thinking about colours than I do” — lol. Very true. Hi Amy, you’d look fantastic in tangerine cigarette pants! (Ha, I like bright pants.) It’s fun seeing how the fashion hues shift slightly from year to year, with similar pairings but shifts in temperature. Like the variations on coral, some years warmer and brighter than others. It keeps me interested in color. I hear what you are saying about sew-alongs. I love participating as it’s a chance to meet others and definitely get some tips when everyone’s fitting the same or similar thing, and why I started blogging about my sewing, too. I still dig the idea of a SWAP for that reason as it combines the personal goals with the group part. Whatever you do, I look forward to seeing what you make this year! Happy holidays! Ooh, I’m loving the Tangerine Tango! And orange cigarette pants would not have in a million years entered my head on their own, but now that you’ve said it they’ve moved in to stay… brilliant idea! Yeah, after the SWAP I’m going to keep my eye out for the perfect reddish orange fabric for a pair of skinny pants. If I find it, I’ll let you know! I LOOOVE that book. I call it ‘my 80 dlls bible’. It’s a great book and I’m sure you’ll learn a lot from it. Yes, I have learned a lot from the little I’ve read, but I really need to spend a lot more time with it. Glad to know that it’s a favorite of yours, too. I agree, ciggie pants in a red-orange would be fantastic on you! My unfinished Clovers were to be in a bright red, but I made an error when purchasing, so there isn’t enough.